I received a call one day from a client who was looking for mattress photography and create a mattress commercial. 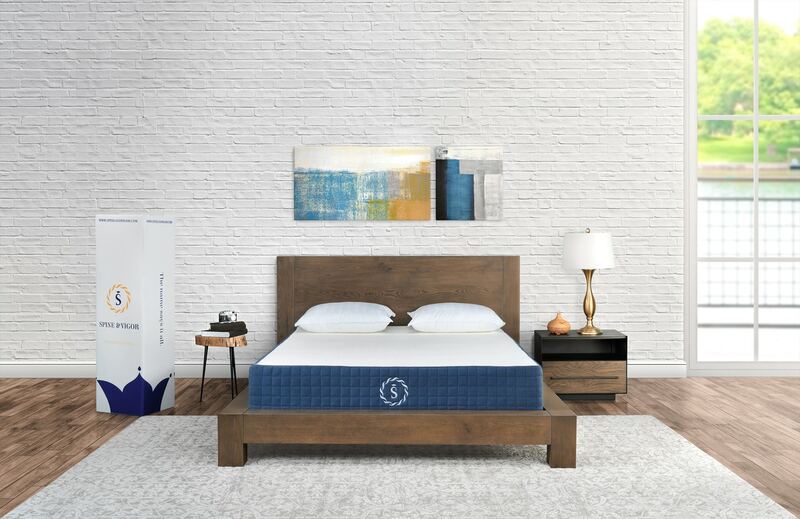 Spine & Vigor is a cutting-edge mattress company that designs its products with the help of a chiropractor. 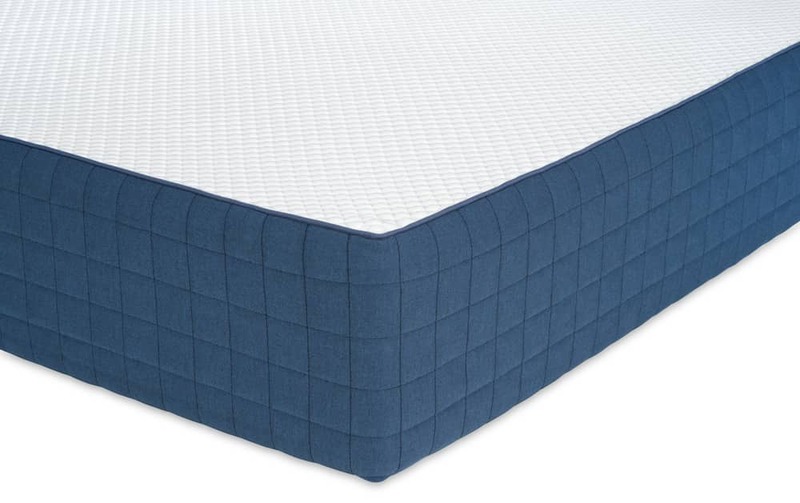 They use top-quality materials that eliminates the common back problems associated with regular mattresses. They had built something that could help people feel better and live better. We spent hours talking about the origins of the company, and their excitement and passion for the brand was contagious. We agreed that a mattress photoshoot would make the most logical sense. After a few days of back and forth discussions, we finally agreed on what that mattress commercial shoot should look like. Mattress manufacturer was going to release two new mattresses – one for the US, and one for India. After fleshing out some more ideas, we decided that shooting two different concepts would make the most sense. These photos would be incorporated in all of their marketing materials and on the website. 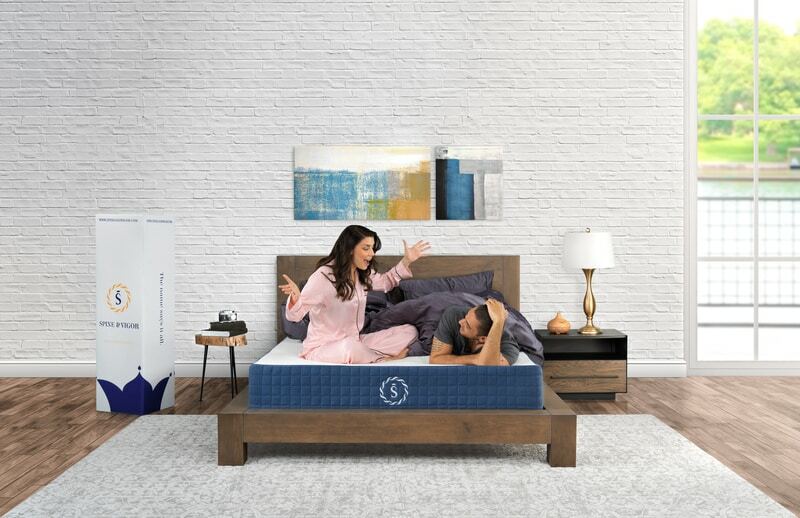 When it comes to mattress photography, like any other subject, the product needed to be showcased in a light that would capture all the elements that would entice the customer but also evokes an emotional response as well. I specialize in just this type of advertising photography, so I was eager to take this on. Once we had the location locked down, we went shopping for the props we needed to recreate the look and ambiance of a beautiful apartment. The first piece to get was the bedframe for one of the concepts we were going to shoot. We needed a frame that would show the full beauty of the mattress. Once we found that, we needed to furnish the space. We found tons of great pieces at the local Home Goods and took them back to the photo studio. The pieces worked beautifully together to create a natural-looking bedroom. 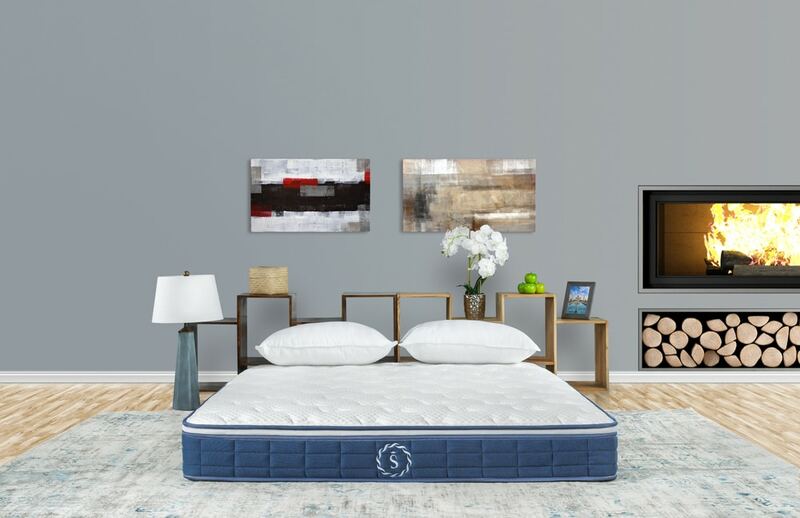 The fun part came next – we needed to scout a location that was suitable for mattress photography as well as for filming the mattress commercial. While the main purpose of the mattress photoshoot was to capture the quality and the texture that the product provided, it was important to have a location that would add to the experience as well. We spent weeks looking at different apartments, condos, and homes that could provide the working space we were looking for. While many of the places were nice, they didn’t quite meet the expectations of what we had in mind. Then it dawned on us – why not use the photography studio? Logistically, it would make the most sense. This type of shoot required a certain lighting setup and flexibility, which the studio would provide. So we had the location and the furnishings down, but the final step before shooting was securing the models. We were doing casting calls all over New Jersey and New York and finally found two females, Courtney Ohman and Christina. We also found a male model, Michael Middleton. The models would also play an important role in the mattress commercial we wanted to make as well. We were going to create an unboxing video to show how easy is it to set the mattress up. Our day started at 7am, preparing and setting up the furnishings in the room. Luckily, we decided to set up the bed a day prior, which gave us more time in the morning. We needed to make sure that the mattress had enough time to settle and that it was steamed to perfection. With this mattress photoshoot, the star is the product and it needed to look impeccable. It took about two hours to get the lighting just right. We used 9 light sources. The mattress is white so we needed to make sure we didn’t wash it out in the photos. 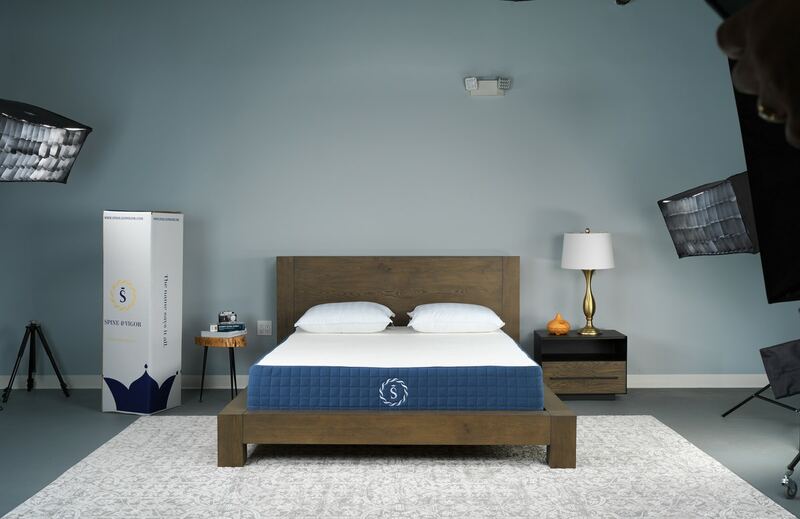 For mattress photography, you need to make sure that the lighting is on par in order to accurately capture the quality and texture of the mattress. This product has a patented texture that the client was determined to capture in their ads. Not only that, but the product doesn’t make you sweat when you’re sleeping and is the perfect combination of soft and firmness. We knew people would be viewing this online and in images first and it was our job to make sure we captured the product as close as we possibly could. During this time, the models showed up and our wonderful makeup artist, Lori Ann, got right to work. Our models looked great and we were ready to start. Overall, the mattress photoshoot on the first day took about six hours. In the first part, we were capturing the mattress on the bed frame for the US market. We used our models Courtney and Michael for this one and had them interact as if they were hanging out in their own bedrooms. Once we were comfortable with the photos we took, we reset the entire room. Thanks to the help of our assistant Mark, we turned around the room quickly, removing the bed frame from the space, and replacing the mattress with the one that would be sold in India. For this shoot, we used models Christina and Michael and even had my young son, Tommy Isaacson, join in on the fun as well. Because this type of mattress photography required us to be able to capture the high-quality and texture of the product, we used Hasselblad camera with 45mm Lens. This camera is top-of-the-line and got the job done with every photograph taken. Dynamic range is very important in such photoshoots to preserve texture and colors. We shot in tethered mode and displayed images on 55” screen to be able to see every detail of the image right away. I always shoot tethered and advise everyone to do so because this is the best way to review images right away. It’s also very convenient for the client to get the idea of how the images will look and approve the shot right during the shoot. Watch the stop-motion of the behind the scenes of the mattress photoshoot. The second day of shooting we focused more on the unboxing video that would be used as a mattress commercial, since we had taken care of the product images the day before. 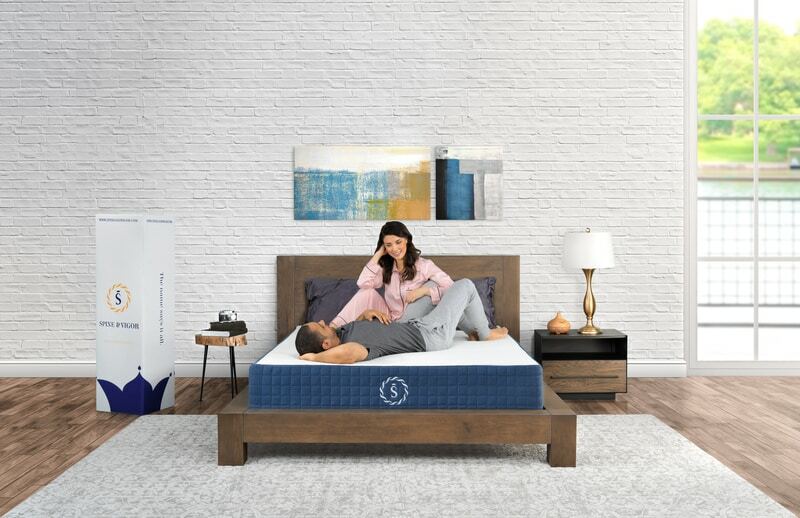 The client wanted to create a mattress unboxing video that would show customers just how easy it is to unbox the mattress and be on their way. For this shoot, our makeup artist Lori-Ann was the model along with my oldest son, Aiden. The unboxing commercial video took about 4 hours to capture. From there, we entered post production and took this time to carefully review the images and videos that were captured to ensure that we were consistently meeting quality standards. great to see your post.